Google had a lot to talk about during its GDC keynote today. Even though the focus was on its Stadia game streaming service, presenters still took time to tell us about other products, such as controllers, related to the upcoming launch of the platform. Another mini announcement during Google’s address was that Doom Eternal would be coming to the platform. Marty Stratton, executive producer at id Software (below), said the game would be capable of maintaining 60fps in 4K running on a single Stadia GPU and would support HDR monitors. Doom Eternal will also be compatible with the previously mentioned Stadia controller. If the service performs as advertised (I’m still skeptical until I can personally see it in action), this will substantially extend the game’s reach to virtually any device including phones and tablets. It is also launching on PC, Xbox One, PlayStation 4, and Nintendo Switch. In case you missed our E3 coverage last summer, Doom Eternal is the sequel to the 2016 reboot of Doom. The game will feature an even more powerful Doom Slayer and double the variety of demons. The 2018 QuakeCon gameplay demos blew our socks off. 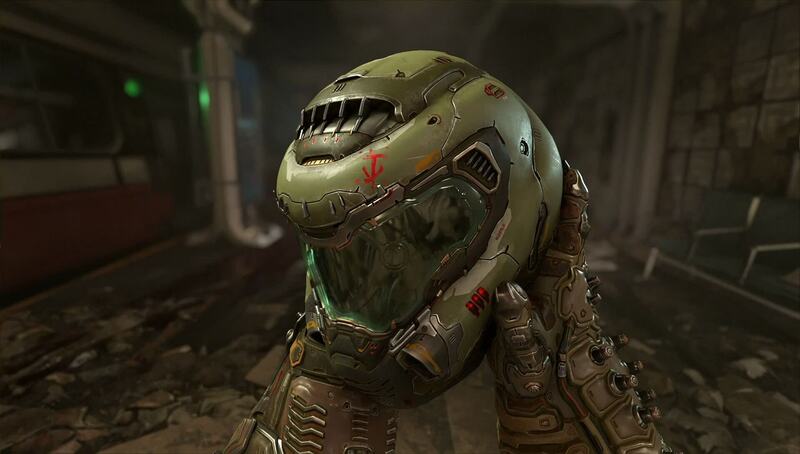 Doom Eternal does not yet have a firm release date yet but is supposed to be out by the end of the year. Stratton said that converting the game to the Stadia platform only took the team a matter of weeks. However, he did not mention if the Stadia version would be launching at the same time as the rest of the platforms. I'm shocked that they gave us so much live play and yet the game was more than a year out. It wont matter if you have AAA games on the lineup if the majority of users cant get gigabit ethernet or at least 100mb connection which a lot of users dont have. Streaming aka youtube and netflix, are more demanding than playing a game online. How could they think this will work especially in the US where internet connections overall are a joke. Its a nice idea but only certain areas or cities would be able to use this, as not everyone will or can have access to even 100mb connection let alone a gigabit connection. Time to renegotiate the contract. Steaming graphics look like crap tbh. I agree that the latency and bandwith will be a roadblock, but if I can watch 4K content on my 50mbps connection, I don't think 1080p gaming at 60fps would break it. (I don't care about gaming at 4K). If they can deliver at least 1080p gaming at 60fps thru streaming with good enough latency, this will truly revolutionize the game world, even Steam would be in peril, even nVidia and AMD GPU divisions could be at danger, after all, when this kind of service come to prime time, tell me one good reason to spend money on a 2080 class GPU when you can spend this money in more than year worth of game streaming service subscription. I have 100/40 Mbps FttP NBN with unlimited download. Nothing wrong with my Aussie Internet.